How to tell if you need an in home nurse and how to find one that fits your needs and family. How can you tell if an in home nurse is the logical next step in the care of a loved one? If you know the time is right, how do you find the in home nurse to meet your needs and budget? You likely have many questions, and it’s good to arm yourself with accurate information as you make such an important decision. Understanding the ins and outs of in home health care will enable you, your loved one an any other family members involved in the decision-making process to consider the facts and the potential benefits. While you may not want to jump too soon to begin home nursing services for your loved one, you definitely don’t want to face the risk of waiting too long. Not having the right care for someone who is struggling with health and/or mobility issues can lead to tragic consequences, putting the individual’s health and well-being at risk. These days, there are more options than ever to provide the necessary care for seniors; it’s no longer just the nursing home or living at home alone. From assisted living neighborhoods and in-home care a few days a week to 24-hour skilled in-home nursing care, it’s possible to find a customized solution to meet your unique situation and budget constraints. According to a recent AARP study, 77% of seniors say that they would like to remain in their home as long as possible, but many of them don’t think that they’ll be able to stay put. An in-home nurse is a great way of helping an aging family member to stay in their home without needing to disrupt their way of life more than necessary. Whether it is clear your loved one is losing weight quickly and appears gaunt in the face or the refrigerator and cupboards are mostly empty, lack of nutritious food intake can lead to a wide range of problems. Not getting the proper nutrition is one of those red flags that lets you know it’s time to step in and take action sooner than later. An in home nurse can ensure your loved one is not only eating regularly, but also eating nutritious foods. The aging individual needs plenty of high quality food that will give him or her strength and energy to remain living in the home. Without it, an individual may begin to decline in health and mobility rapidly. Forgetting to take medications or taking the wrong combination of medications at the wrong times can have deadly results. If you, a family member or a physician have discovered your loved one is unable to keep track of medications or is struggling to take them correctly, this is a sign it’s time to secure in home nursing assistance right away. Many aging adults do just fine continuing to live in their homes alone—until it comes to keeping track of multiple medications. It can be confusing for anyone of any age, but an aging mind can lead to some forgetfulness and confusion that makes it even harder if not impossible to get all of medications right. Having a qualified, experienced in home nurse to be there a few days a week, daily, or more often, can provide the necessary organization for medications to ensure your loved one remains safe and as healthy as possible. Falls, cuts, bruises and other accidents can be signs it’s time for your loved one to receive a higher level of care, especially if they are occurring more frequently. Look for marks and bruising that may point to accidents that are happening when the senior adult is home alone. While the loved one may be too proud to admit he or she is struggling with balance or safety issues, it’s important to get the assistance necessary to maintain the safest environment possible. 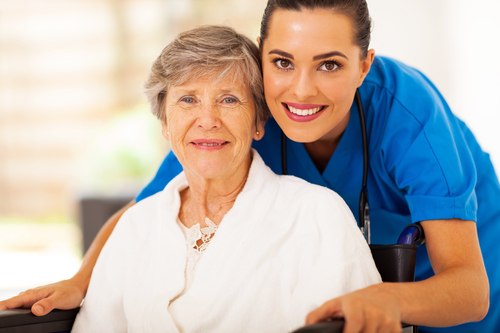 Hiring an in home nurse can help you to assess the seriousness and frequency of the accidents and find new ways to help the senior stay safe. Perhaps the senior adult is having more episodes of forgetfulness, from forgetting to lock the door and losing the keys to keeping the stove on all day or doubling up on medications because she forgot she already took them. When the episodes of memory loss seem to increase, this is a sign an in home nurse may be the answer. Having a qualified nurse available to check in on your loved one can help to alleviate the stress, anxiety and worry many family members experience during this stage of life. Until you are living in a near constant state of worry over a loved one, it’s hard to understand how valuable this kind of nursing assistance can be. If you are interested in learning more about the ins and outs of in home nursing, our team at Celestial Care is here to answer your questions. Let us help you to find the right senior care solution to meet your family’s needs. Contact us now online for a private consultation.